Furnishing and decorating one’s house and carefully converting it into a home are experiences that most people use as an opportunity to express their creative streaks. Who doesn’t love to give their living space the best kind of treatment that they can without overshooting their budget? If you are renovating or moving to a new location, and are exploring options to give your house a unique style and personality, then quartz countertops are a great option. Countertops are essential for every household. They are available in a plethora of varieties, which is a good thing but an excess of options can also lead to confusion. If your requirement is to have a durable and long-lasting countertop that is easy to maintain and will not burn a hole in your pocket, quartz countertops will fulfill every one of your requirements, and more. Here are a few compelling reasons why you should consider quartz countertops for your home. Quartz is a manufactured product that can be made to look the way you want it to. 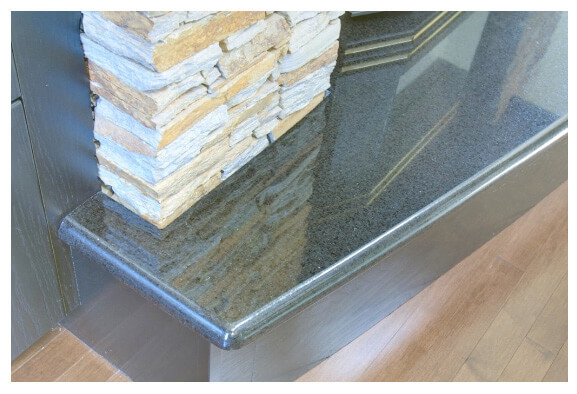 A quartz countertop contains no defects around the edges when it is cut into the size and shape that you require. You can actually control the appearance of your countertop if it is made of quartz. Since you will be involved in the process of manufacturing, you can choose any color that you want to, and give it the kind of finishing that you think is best-suited for your kitchen. Quartz countertops are not inexpensive, but they are much more economical when compared with granite countertops or marble ones. You get the best value for your money with quartz countertops. You no longer need to worry about the amount of space you want to cover with a countertop, because this is a cost-effective option that comes with an extensive durability. Since they are made out of one of the harder minerals on earth, quartz countertops have a long life, and they do not deteriorate with time. Extreme usage is also not a cause of concern with quartz countertops because they can handle pressure of any amount without suffering much damage. Quartz is also stronger than marble or granite, making it the best bet for all your kitchen requirements. Quartz countertops are user-friendly, in the sense that cleaning and maintaining it is an easy task. All you need to do to make the countertop sparkle with tidiness is wash it with water and soap. That is how simple it is to clean your countertops if they are made of quartz. Quartz countertops are unmistakably a very appealing option when it comes to making your home look stylish without spending over-the-top. However, if you are still confused, or if you have any questions regarding your kitchen or bathroom, you can call K&J’s Granite for any professional advice or help.